As I said before, Neutrogena blessed me with this Godsend Moisturiser, and I decided to try out some other Neutrogena products, thinking they would be as good as the moisturizer. So I bought the Deep Clean Invigorating Daily Scrub by Neutrogena. I wasn’t quite sure if it would be good for my skin or not, but after seeing “FOR ALL SKIN TYPES” on the sticker, I ended up getting it. I was VERY EXCITED to give it a try.. HOWEVER, I ended up BURNING MY FACE DOWN TO THE GROUND!!! 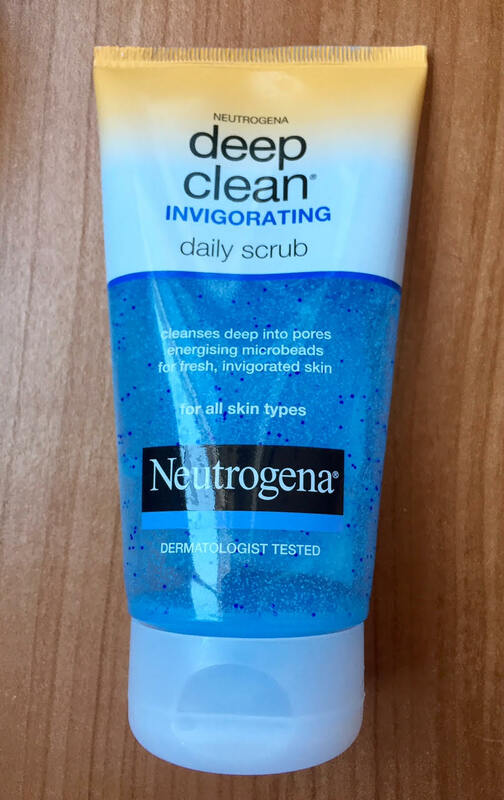 Well, this is the notorious DEEP CLEAN INVIGORATING DAILY SCRUB by Neutrogena. In my daily shower, instead of the Garnier facewash that I use, I tried Neutrogena’s daily scrub. At first, it felt quite nice on my face, with the exfoliating particles in it, I could feel my skin feeling thoroughly cleansed as I rubbed the scrub over my face. BUT, after 10 seconds, or maybe even less, MY FACE WAS ON FIRE! It was VERY unpleasant and IRRITATING. I immediately washed my face, as soon as I started feeling discomfort. HOWEVER, IT KEPT ON GOING BURNING MY FACE! I was EXTREMELY dissappointed with the product. After shower, I put on my soothing balm to evenly moisturize my face and to cool it down. After that unfortunate experience with the scrub, I decided not to EVER use it on my face, HOWEVER, I tried using the scrub as an exfoliating BODY SCRUB, and it worked out GREATLY! It SOOTHES the skin, and helps PEELING off the dead skin cells. The scrub DOES NOT cause any irritation on body, BUT, make sure you NEVER APPLY IT TO YOUR FACE if you have sensitive skin. I hope Neutrogena turns this FACE scrub in to an exfoliating BODY scrub, which will work out better for their customers. And that’s all for this falsely advertised FACE scrub. Well I can’t say that it was pleasurable, however, I started using the product as an exfoliating body wash, and I am pretty satisfied with it!